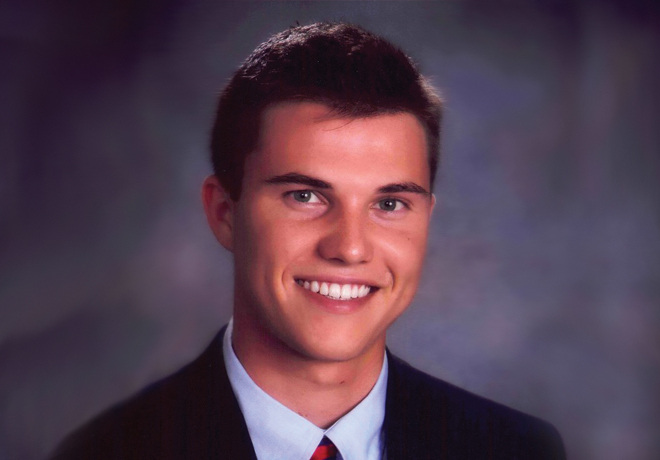 Emmett Torney is a full-time student pursing a Master of Science degree in Marketing from Carey Business School at Johns Hopkins. You have a background in Marine science, what about a business degree interested you? While studying Marine Affairs at Miami, I became increasingly interested in the influence private businesses have on marine environments. I recognized through my classes and study abroad experiences in the coastal communities of Galapagos, Ecuador and San Blas Islands the enormous impact private businesses were having on the communities and ecosystems. I also saw a gap between scientists and private enterprises in the sense that scientists’ work did not seem to be communicated and marketed in a way that the general public and private corporations could grasp. In many cases, scientific discoveries and insights that could help private enterprises become more profitable and sustainable were not being heard and utilized. I wanted to learn business and marketing knowledge to take on this ambiguous challenge of finding innovative ways of bridging both worlds in effort to benefit scientists, the environment, and private businesses. I decided to combine my education in Marine Affairs with an advanced degree in business. What does the Carey mission of “business with humanity in mind” mean to you? As an ethical business leader, I want others to trust that I will not only get the job done well, but I will also get it done morally. “Business with humanity in mind” is about managing assets, solving problems and creating sustainable and substantial returns while maintaining transparency, honesty and improving human welfare. Carey’s innovative and unconventional approach of “teaching business with humanity in mind” is one of the reasons I chose to apply. It is very rewarding to be a member of a relatively new business program and learning community. Being part of Carey business school’s creative, passionate, and forward thinking team is supporting my goal of successfully bridging science, humanity and business. I also like being part of a multinational student body that emphasizes global learning. So far, what about the Carey experience has set it apart for you? What is unique about Carey is that these lessons are learned within an educational environment that encourages its students to consider the ethical and moral implications of their actions. Carey supports their mission of “Business with Humanity in Mind” through classes, clubs, guest lecturers, and innovative programs. I lived for three weeks with a host family in El Cocal, a developing rural community in Panama. I, along with four other Carey business students, worked with a team of community leaders in developing a business plan, a community brand and product label to market and leverage their historically significant community. You are involved with several clubs at Carey, what value have those provided you? There are many great clubs at Carey that allow me to pursue my marketing, design thinking, and entrepreneurial interests. I am vice president for the Carey Marketing Association and Assistant Director of Marketing for the Innovation Factory — Hopkins’ student organization fostering entrepreneurial spirit and creative problem solving. As a member of Net Impact club I traveled to Minneapolis for Think Impact’s annual social and environmental innovation conference. Through the innovation Factory I had the great opportunity to work with North Highland Consulting to develop their new innovation space. In another club, Design for America club, I am working on a team that uses design thinking to help ideate and design for “Section 1” (Baltimore’s largest urban art park). When I got to Carey, I wanted to partake in a lot of extracurricular activities to network and learn about business outside of my coursework. Carey has a lot of opportunities for that, you just have to be proactive about it. Torney graduated from the University of Miami with a degree in Marine Affairs and minored in Marine Science and Business Administration.